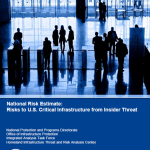 The Department of Homeland Security’s (DHS) Homeland Infrastructure Threat and Risk Analysis Center (HITRAC) produced this National Risk Estimate (NRE) to provide an authoritative, coordinated, risk-informed assessment of the key security issues faced by the Nation’s infrastructure protection community from malicious insiders. 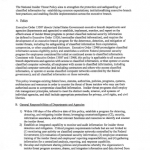 DHS used subject matter expert elicitations and tabletop exercises to project the effect of historic trends on risks over the next 3 to 5 years. In addition, DHS used alternative futures analysis to examine possible futures involving insider threats to critical infrastructure over the next 20 years. 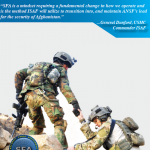 The results are intended to provide owners and operators a better understanding of the scope of the threat and can inform mitigation plans, policies, and programs, particularly those focused on high-impact attacks. 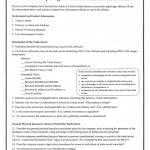 A checklist created by the FBI to help businesses report offenses relating to economic espionage or theft of trade secrets. To prevent foreign entities from achieving their goals, a Counterintelligence Program (CIP) proactively searches for and uses information from multiple sources. 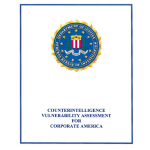 An effective CIP draws information from security programs and other internal systems, as well as from the U.S. Intelligence Community (USIC). 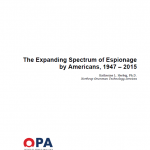 Once this information is assembled, an effective CIP develops a coherent picture and crafts a strategy to prevent the foreign entity from successfully achieving its goals and minimizes the damage already done. An effective CIP conducts active analysis of available information, requires annual CI education for all employees, and provides a system for immediate referral of behavior with CI implications. 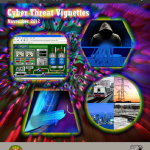 Two guides released in November 2012 by the U.S. Army Office of the Provost Marshal General in collaboration with the Army Cyber Command on cyber threat awareness.